HDS 10/20-4M EASY! 10719030 https://www.kaercher.com/au/professional/high-pressure-cleaners/hot-water-high-pressure-cleaners/middle-class/hds-10-20-4m-easy-10719030.html HDS 10/20-4 M EASY!Force – the powerful three-phase hot water high-pressure cleaner in the Kärcher Middle class. With 4-pole, water-cooled electric motor, two cleaning agent tanks and service electronics. 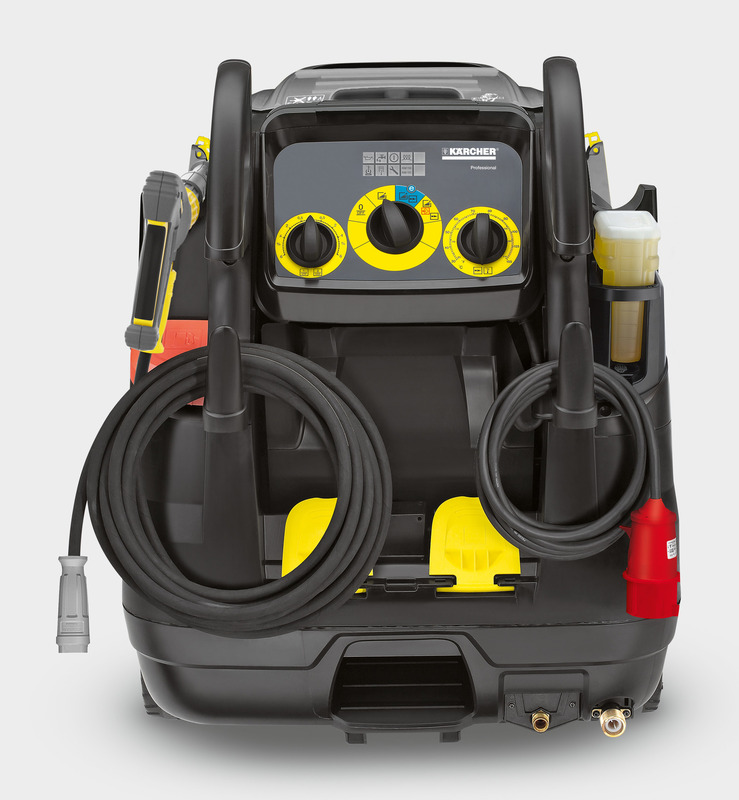 HDS 10/20-4 M EASY!Force – the powerful three-phase hot water high-pressure cleaner in the Kärcher Middle class. With 4-pole, water-cooled electric motor, two cleaning agent tanks and service electronics. Uncompromising in every respect: maximum pressure, maximum flow rate. 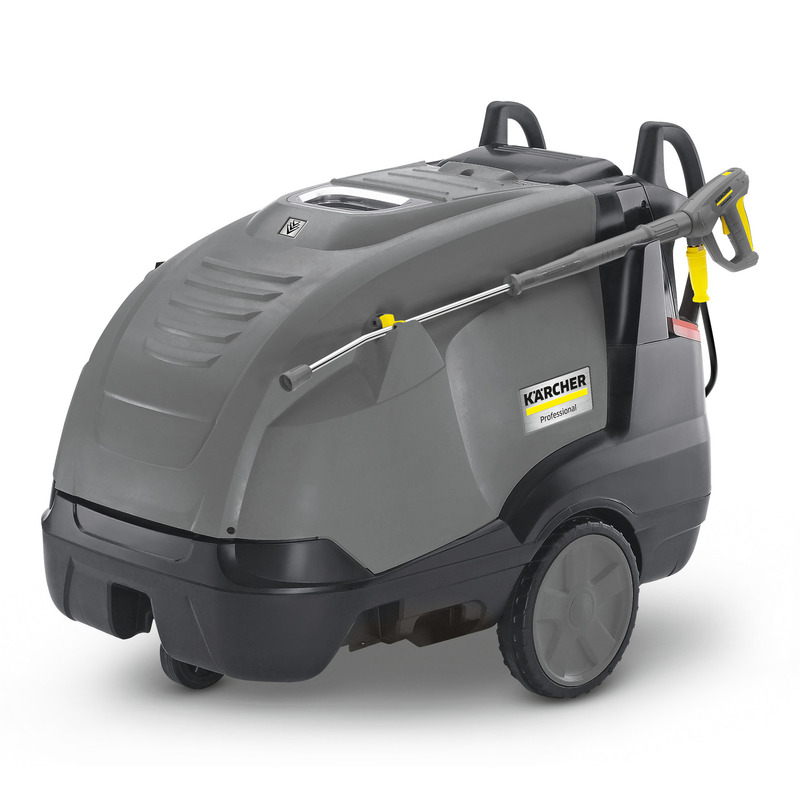 The HDS 10/20-4 M EASY!Force hot water high-pressure cleaner is the most powerful machine in the Kärcher Middle class. The innovative eco!efficiency mode, precise cleaning agent dosing unit and optimised burner engineering reduce the impact both on the environment and on your wallet to a minimum, while the patented nozzle technology, ceramic pistons, turbo blower and outstanding pump efficiency ensure top cleaning results. Ease of operation is also ensured by an intuitive control panel, LED displays and a sophisticated mobility concept, all of which simplify operation and transport of the machine. Servicing and maintenance work is easy, as all of the relevant components are easily accessible and operating data can be retrieved at any time.er-tyred wheels, ergonomic handles, lifting points for handling with a forklift, lashing rings and a recessed tread for tilting the machine to guarantee maximum manoeuvrability. 5. Reliability Guaranteed by flue gas monitoring, a corrosion-proof, flexurally stiff, robust chassis, machine protector system, three-piston axial pump with ceramic pistons, heat resistant flue outlet, and much more. 6. Service friendliness Easy access to all components that require servicing and a service switch to call up operating data at any time for troubleshooting. In the Eco mode, the unit operates in the most economical temperature range (60°C) with full water flow. Burner cycles are optimised to reduce fuel consumption by up to 20% compared to full-load operation. The stainless steel heating coil offers lasting protection against corrosion and prevents the formation of black water. Highly efficient, tried-and-tested burner technology. 4-pole electric motor with three-piston axial pump. The large, integrated fine-mesh water filter reliably protects the high-pressure pump against the ingress of dirt particles. An integrated exhaust gas thermostat switches off the drive motor if the exhaust gas temperature exceeds 300°C. The soft damping system (SDS) compensates for vibrations and pressure surges in the high-pressure system. "Jogger" design with large rubber-tyred wheels and swivel castors.